A premier holiday destination, Discover Lehigh Valley shares favorite Christmas City traditions and events. 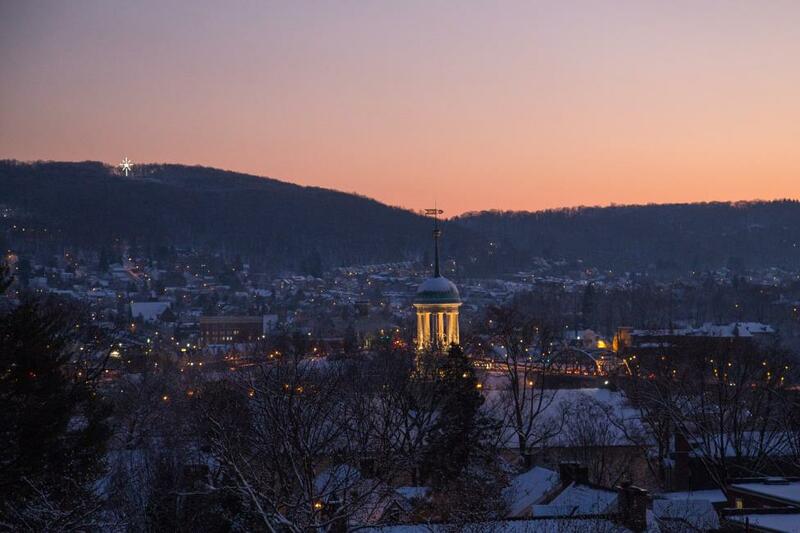 LEHIGH VALLEY, Pa., November 2, 2018 – As festive and cheerful as Santa’s North Pole workshop, Lehigh Valley’s Christmas City exudes holiday spirit from the moment you arrive. While families start preparing for the season, Discover Lehigh Valley®, the destination marketing organization dedicated to promoting tourism in Pennsylvania’s Lehigh and Northampton counties, shares a sneak peek of the magic that visitors can enjoy while discovering Bethlehem, also known as the Christmas City, during the holiday season. Christkindlmarkt – One of the top holiday markets in the world, Christkindlmarkt welcomes visitors from around the globe to experience Bethlehem’s holiday magic. Take a walk through the grounds to witness live glass blowing, shop aisles of exquisite handmade works by the nation’s finest artisans, hear heart-warming sounds of live Christmas music, enjoy delicious food, and more. As the holiday spirit overtakes the SteelStacks campus, guests will marvel at the collection of Germany’s Käthe Wohlfahrt authentic ornaments, nutcrackers, and collectibles while children anxiously wait for St. Nicholas. Consider this a one-stop shop for holiday shopping! Historic Bethlehem Holiday Tours – Take a tour of historic Bethlehem to witness the dancing holiday lights that shine brightly across the city and learn about Bethlehem’s colonial American past. Join the Trees of Historic Bethlehem tour and gaze upon beautifully decorated trees produced by the Bethlehem Garden Club. Then, enjoy the Christmas City Stroll walking tour led by colonial dressed guides and become immersed in stories on why candles line each window of Historic Bethlehem and the story of the famous Bethlehem Star. Main Street Bethlehem – As visitors stroll Main Street, they can explore the dozens of restaurants, art galleries, and shops adorn with holiday décor while gazing upon the 81-foot-tall steel “Star of Bethlehem” that radiates from atop South Mountain. Afterwards, visitors must warm up at Historic Hotel Bethlehem to enjoy a local spirit or Musical Sunday Brunch while admiring the elegantly adorned floor to ceiling trees, a stunning Nativity scene, and glistening ornaments and lights. Bethlehem Carriage Company – A classic mode of transportation, the Bethlehem Carriage Company offers a unique experience for those searching for a magical evening. While riding in a horse-drawn carriage, visitors will see Bethlehem&apos;s holiday lights and sites. Discover the city’s rich history and architecture all while riding down Main Street in an elegant White Vis-a-Vis Carriage or finely decorated Cinderella Carriage. Christmas City Village – An authentic German Weihnachtsmarkt, Bethlehem’s Christmas City Village welcomes holiday gift seekers to stroll through the charming wooden huts lining the historic streets. Visitors are sure to find perfect handmade gifts, sip on hot chocolate, and enjoy traditional European crescent yeast rolls. Along with Bethlehem’s holiday festivities, Lehigh Valley is full of holiday spirit. A few other must-see attractions in the region include the Winter Light Spectacular at Lehigh Valley Zoo, featuring over 1.1 million twinkling lights, delicious hot chocolate and cozy fire pits, as well as Koziar’s Christmas Village, which has been wowing families for nearly 70 years as they witness over a million holiday lights setting the countryside aglow. Thinking ahead to New Year’s and what to do with the kids? Families must experience PEEPSFEST®, a two-day family-friendly celebration featuring a 4-feet, 9-inches tall, 400-pound, giant yellow, light-up PEEP and plenty of the sweet treat to go around. For more Lehigh Valley holiday getaway recommendations, visit LehighValleyHolidays.com. Follow @LehighValleyPa on Facebook, Instagram, and Twitter.